Flavonoids are powerful, natural antioxidants that work to protect the body's cells from the potential damage caused by free radicals. 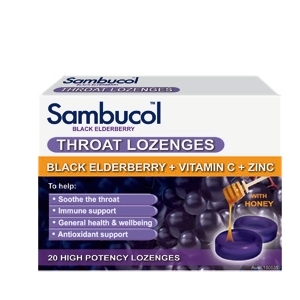 Certain flavonoids – anthocyanins – are found primarily in the pigments of dark blue and deep purple fruits such as the BLACK ELDERBERRY. 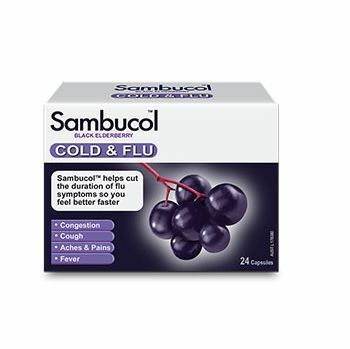 Best taken at first signs of cold and flu- within 48 hours of the onset of symptoms. Or as recommended by your health care practitioner. Contains potassium sorbate and glucose. 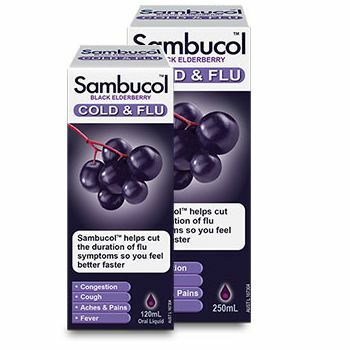 Sambucol® is a unique black elderberry extract intensely rich in immune-boosting flavonoids.